MANILA, July 21 -- How can the government more easily identify and locate beneficiaries under its Pantawid Pamilyang Pilipino Program (4Ps)? Through the national ID system, of course. 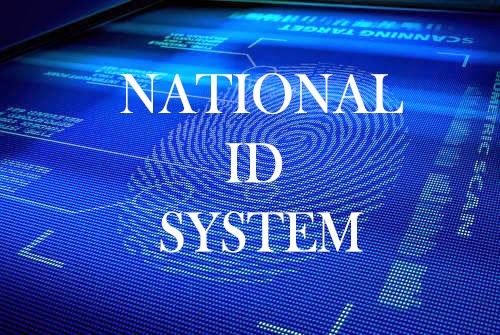 Sen. Sherwin Gatchalian, who is pushing for the proposed national ID system, made this statement Friday noting that the ID scheme would be an advantage for the Department of Social Welfare and Development (DSWD). “The national ID system can help the government in identifying communities where there are clusters of indigent families. While almost four million households are now covered by the 4Ps program, I think there are more poor families that the government can still help,” Gatchalian said in a press statement. Gatchalian, chair of the Senate Committee on Economic Affairs, explained that the DSWD has found it difficult to expand the beneficiary coverage of the program because of lack of information about the families. “Napakahirap po silang hanapin dahil paiba-iba po ang kanilang mga address, wala silang mga phone numbers at hindi natin alam kung ano ang kanilang mga katayuan, tulad ng kung ilan ang mga anak nila at ang mga edad nila, ilan ang nag-aaral (They have difficulty finding them because they keep changing their address, they don’t have phone numbers and they don’t know their status, like how many kids they have, their age, and how many of them are going to school),” Gatchalian said. “So ‘yung mga ganitong information, napakahalaga para maging mas epektibo ang serbisyong binibigay ng pamahalaan (So this type of information is very important to make the service being given by the government more effective),” he added. Aside from helping the DSWD identify and locate beneficiaries, Gatchalian said the ID scheme can improve public safety. The senator cited agriculture and fishing sectors as examples noting that most of them would not be able to present any form of identification if they would be subjected to questioning or investigation during checkpoints or other security activities. He, meanwhile, downplayed potential effects of a national ID system on privacy rights, stressing that the schemes worked like online social networks where account owners are asked to provide personal details when they register and create their accounts. “There is no reason for anyone to be concerned about this. Almost all of us have been giving out personal information for our social media accounts, such as Facebook and Twitter,” Gatchalian said.